Khao Sok Lake focuses on more than just providing quality travel experiences for our guests. That we’ve grown every year is a reflection of our success providing a unique experience. Business success in and of itself is not rare in the tourism industry in Thailand. What we do differently is ask: why do we want to succeed? 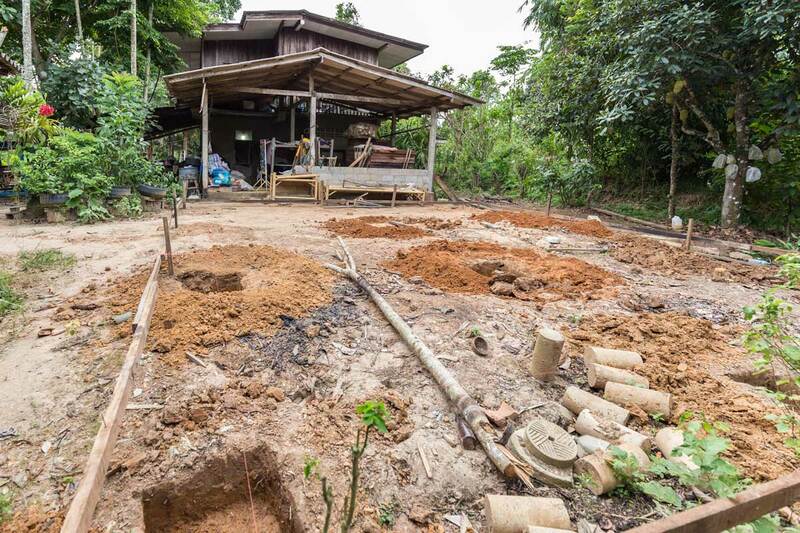 What is the impact of community development in Khao Sok? What benefit do we provide for our employees? What is the overall impact of our success in the communities where we work? Instead of using our profits to buy local infrastructure, we instead reinvest a portion of these profits back into the community. Our experience in the area has shown us that many locals have not benefitted from the foundation of the national park and the tourism development that followed. A big focus for our company was looking for ways to reverse this trend through socially inclusive tourism. This means working with local groups as they develop their own vision of community development. Instead of telling our partners what we want for our guests, they come to us with their ideas of how tourism should work. 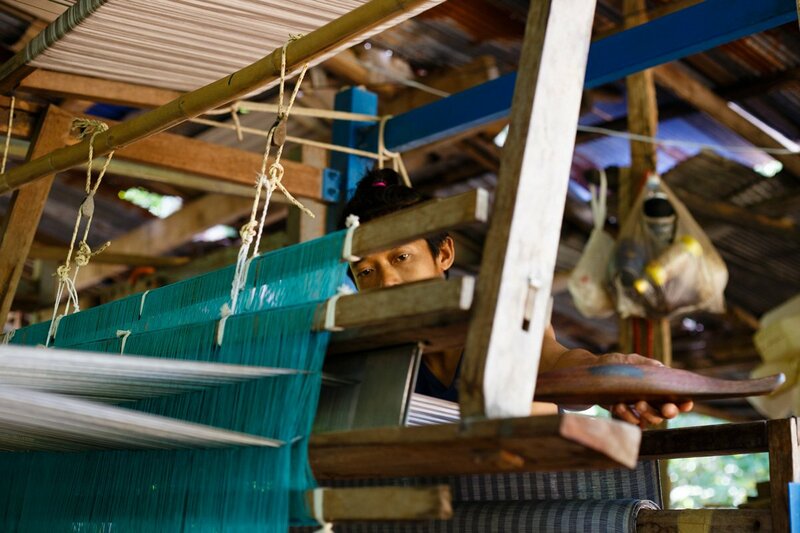 Our mission has lead us to work closely with the ‘Cheow Lan Weaves’ cooperative. 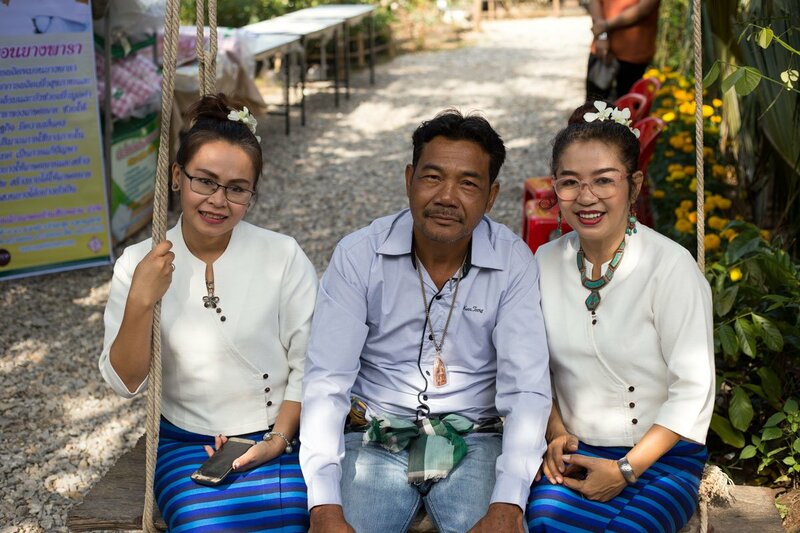 In addition to selling cooperative goods in our office, many guests also visit the workshop to learn more about the local community. When the dam was created, a royal grant was given to encourage small scale livelihood restoration projects for the communities displaced by the dam. 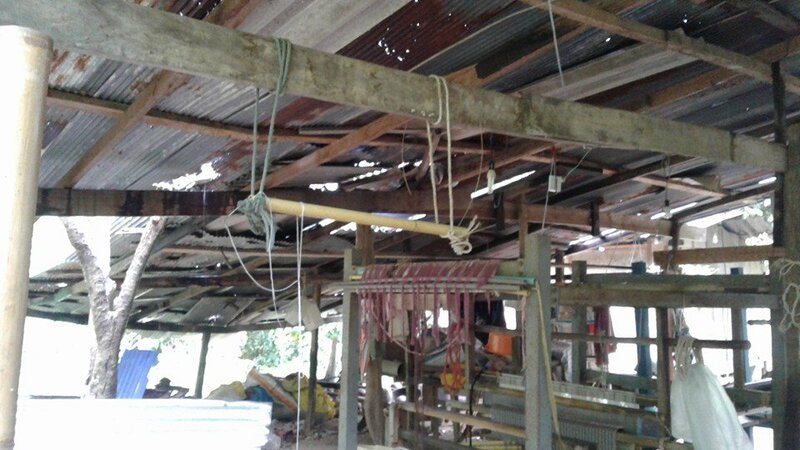 Part of the grant included the construction of a traditional craft center equipped with looms. Though the looms are still used, the center was in desperate need of maintenance: the floor was cracked in many places, the roof was leaking, and the small space no longer was able to accommodate all of the group members, let alone accommodate visitors. 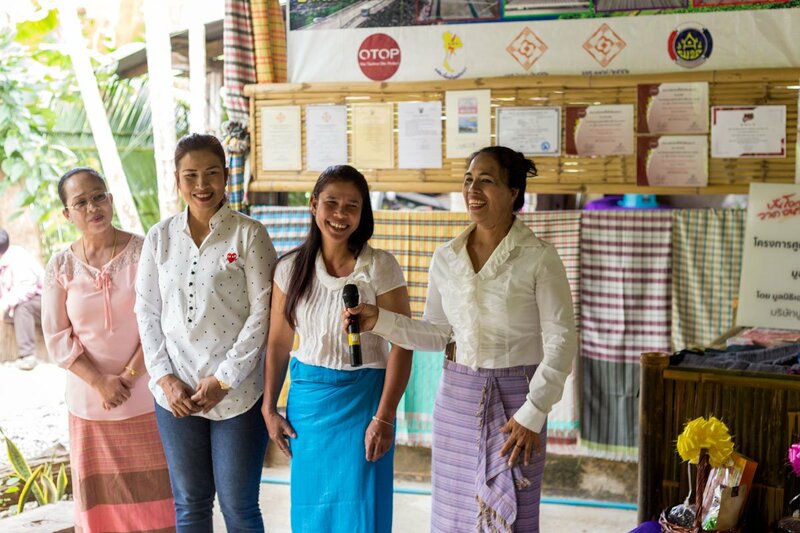 Through funding from SCG and Khao Sok Lake, the cooperative was able to restore and expand their workshop. 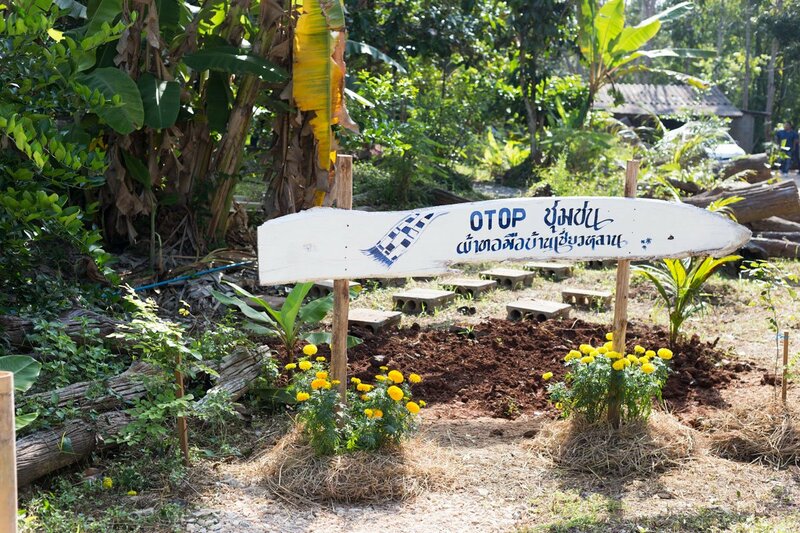 “This is the first step in transforming this from a small workshop to a community center, native plant nursery, and hopefully more,” the group’s leader, Chuenjit Chuaysong, mentioned at the opening ceremony on 21 December. 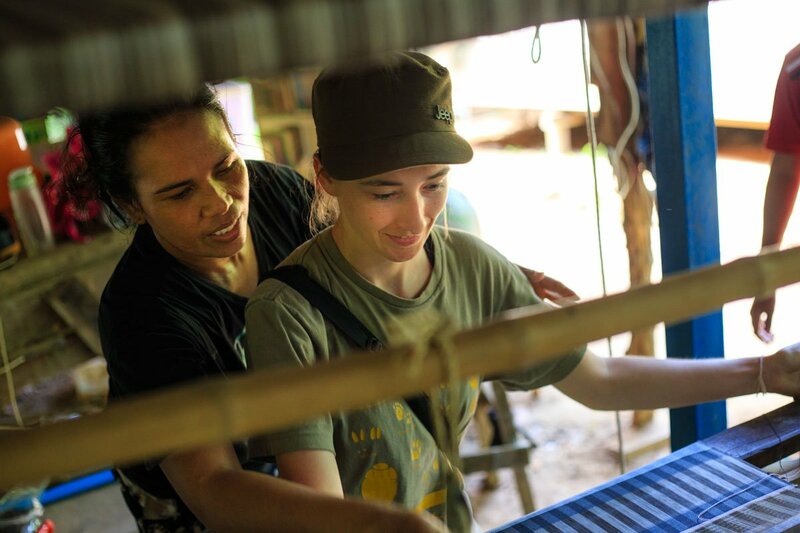 We look forward to our continuing partnership with the weaving collective and supporting their ongoing efforts to expand. The group’s vision of a community space that aids in cultural preservation and provides supplemental income is one that we hope to will continue to succeed and grow.